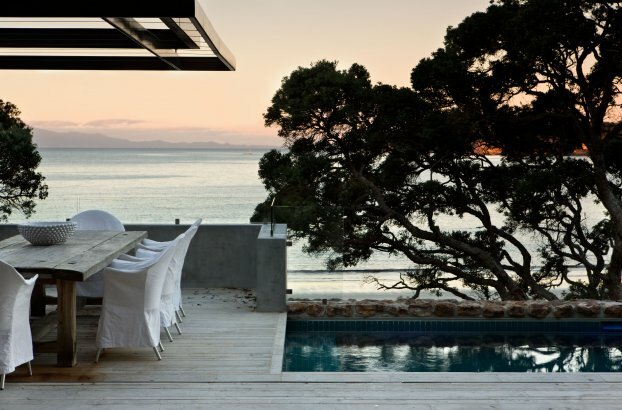 The Waiheke island is the location for some of New Zealand's finest holiday houses and this summer residence is located on a steep coastal escarpment above a white sand beach on the island's northern coast. 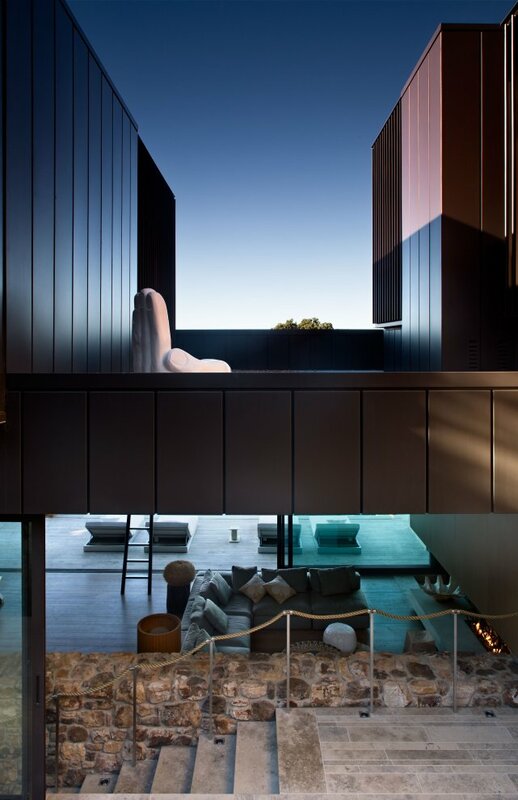 The architects used local pyrite stone as a building material to create a design that belongs to sense of this place. The stone mass of the house was been arranged as a viaduct, open both sides to exploit both the afternoon sun and the beach frontage.